Describes how John Maynard Keynes reacted against the moral emptiness of the nineteenth-century classical approach to economics by offering an economics that was morally normative, but not teleological—a fervent moral crusade, but without any ethical basis or purpose higher than the goodness of satisfying consumer appetites. Heavily influenced by his social circles, including the legendary Bloomsbury group, Keynes sought to organize society to make it happier and healthier for all. 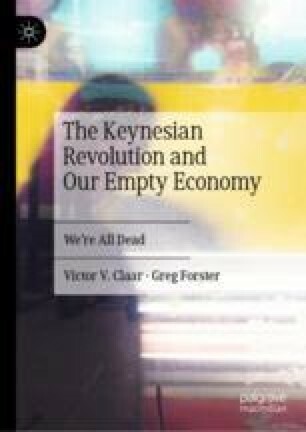 This chapter lays out his Keynes made critical changes to the nineteenth-century homo economicus model, establishing the initial theoretical basis for a new Consumption paradigm in economics.